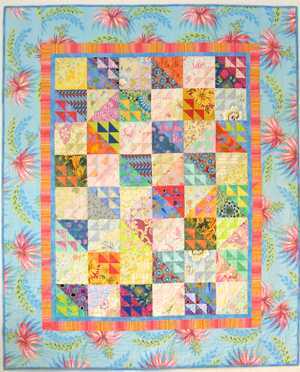 Tropical Madness - wild fabric for the border. I kind of broke out of my comfort zone making these blocks and then surprised my friends by finding this wild fabric for the border. I love the colours and the border fabric. Well Done. Joan.